An in-depth look at the history and evolution of the C.H. Alison designed Davenport Country Club. Sam Snead arrived in the Quad Cities in 1951 in pursuit of a three-peat in the Western Open, staged that year at Davenport Country Club. The Western, which was first contested in 1899, was one of the early major tournaments, with a list of champions including a veritable who’s who of American golf. The only man previously to win the title three straight times was Ralph Guldahl, who coincidentally started his run in 1936 at Davenport. 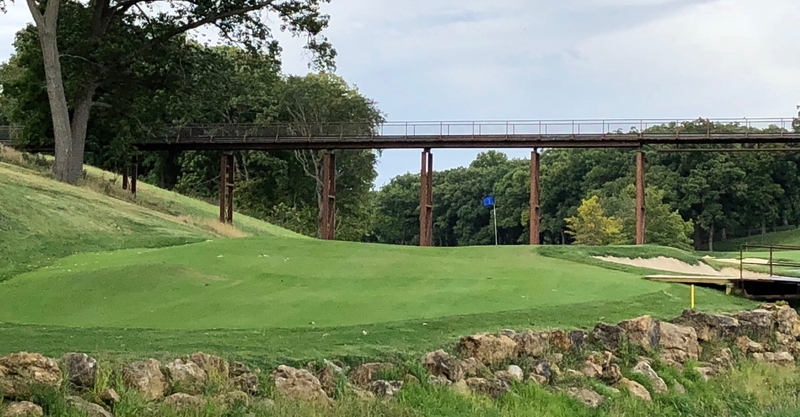 Anticipation was high as a strong field prepared to take on Charles H. Alison’s design on the bluff above the mighty Mississippi River. Going into the final round, Fazio was joined by Sam Snead at the top of the leaderboard, which became even more crowded as the day progressed. By the time the leaders reached the closing stretch, it appeared to be a three-horse race among Snead, Cary Middlecoff and Marty Furgol. On the tee of the brilliant par-4 16th, Snead pulled a one iron in an attempt to play safe. It was a curious club selection given that Slammin’ Sammy had won the long drive contest on Tuesday, staged on the 16th hole, lacing three consecutive drives down the fairway including his winning 292-yard poke. His one iron did not find safety, instead landing in Spencer Creek. Snead’s double bogey opened the door for Furgol to claim the championship. An infamous name was bestowed upon the 16th, and a stone now commemorates the watery end to Snead’s three-peat quest. Sam Snead was not the first golfer to be taken on a ride on a course designed by Charles Hugh Alison. Hugh, as he was called in his youth, grew up outside of Manchester, England. He was known more for his sporting accomplishments than his academic record. In his profile for GCA Magazine, Adam Lawrence relates a particularly representative story from Hugh’s University days. While playing a match at Woking for the Oxford golf team, Alison hit a shot onto the clubhouse roof. He climbed up, played the ball and squeaked out a half in the match. An attention-getting performance, to say the least. Alison gained the attention of famed architect Harry Colt, first becoming Colt’s protege and then his partner in 1919. 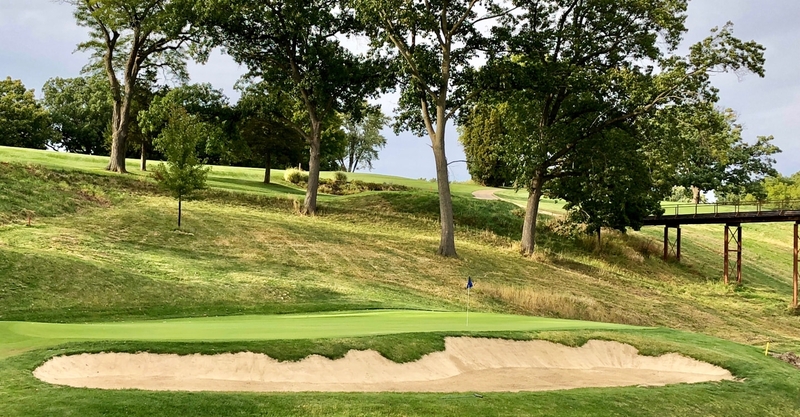 Hugh traveled to America on behalf of their design firm after World War I, where he built notable courses including Milwaukee CC, Knollwood Club, Orchard Lake CC, Kirtland CC and Country Club of Detroit. 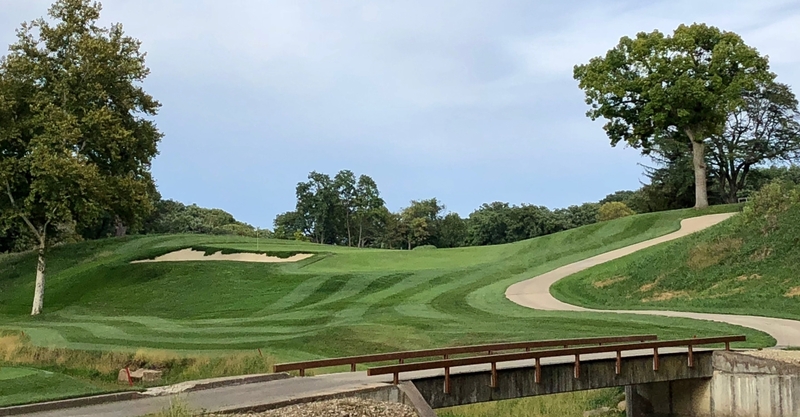 He also contributed to the redesign and renovation of a number of other courses, primarily in the midwest and northeast. Although Alison designed in the same strategic vein as his mentor Colt, his courses are best known for their bold bunkering. He was not afraid to intimidate players visually and punish errant shots. Alison’s bunker sketch and notes below hint at his style, as well as his inclination to build bunkers of meaningful depth. After nine years of work in America, Alison migrated to Japan where his designs at Hirono, Tokyo GC and others would set that standard for golf architecture in that country going forward. His association with Colt causes some to underestimate the contribution that C.H. Alison made to the craft, but those fortunate enough to visit courses like Davenport know just how good he was in his own right. 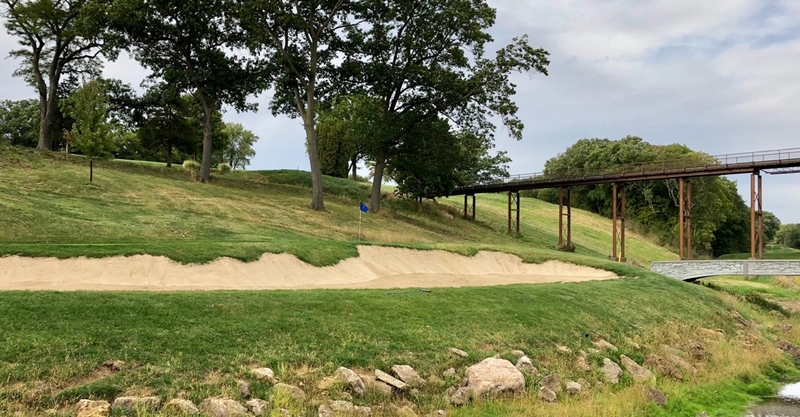 Members and guests who take on Davenport now are playing a somewhat different golf course than the one the Western Open entrants faced in 1951. 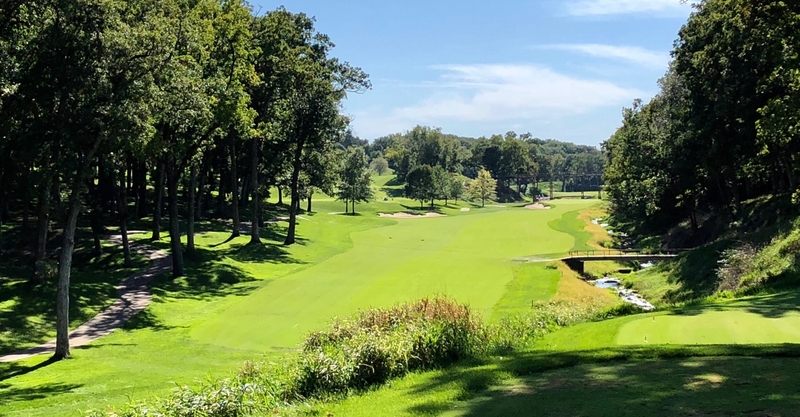 Trees were planted in the name of “beautification.” Both the opening and closing holes were rerouted in the 1980s, and opinions vary as to whether these changes made the course better or worse. Additional renovations were made at that time that were arguably out of character with the original style. Greens shrank and trees grew over the ensuing decades, resulting in the course losing the bold scale that was Alison’s hallmark. 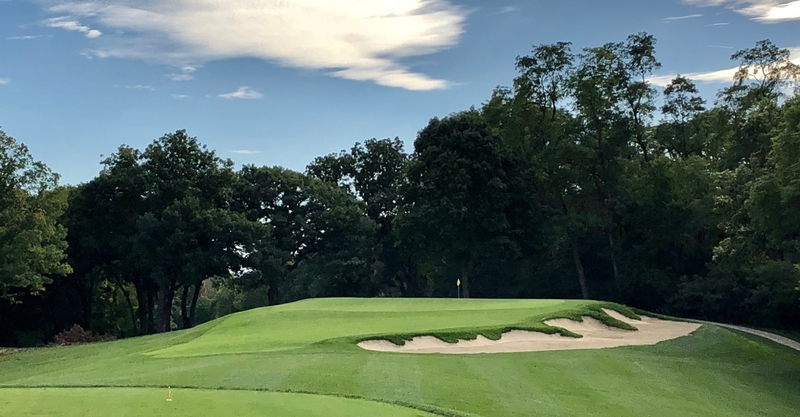 In 2012, the club engaged Ron Forse and Jim Nagle, who have been as prolific in restoring and sympathetically renovating classic parkland golf courses as Sam Snead was at winning tournaments. 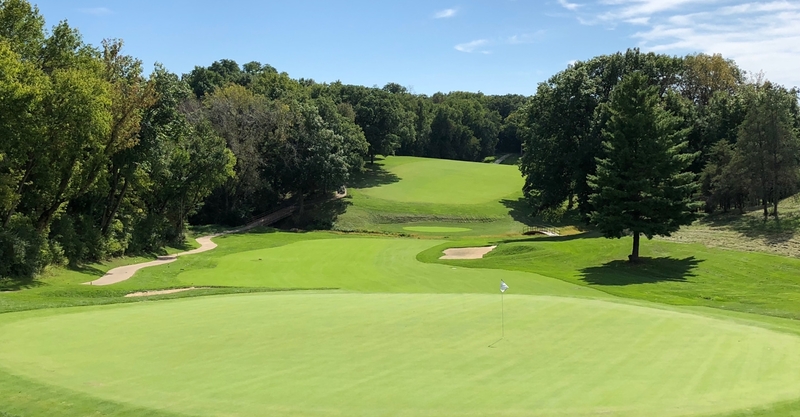 The duo tag-teamed a master plan in 2013 and then partnered with Superintendent Dean Sparks on a highly efficient renovation in 2014. As was Alison’s practice, Forse and Nagle started with the land. Davenport has wonderful topography with distinctive features. A ridge cuts through the middle of the property. On the near side of that ridge, exposed limestone cliffs rise above a valley criss-crossed by Spencer and Condit creeks. “Lakes are a dime a dozen, but creeks are special,” says Forse. On the far side, the land has gentle sections and pronounced rolls. “Alison used both scale and subtlety to contrast his features with the landforms of the knob-and-kettle topography,” points out Nagle. Two holes had been changed, but Alison’s “tootsie pop routing”, as Forse calls it, was still intact. “There is a genius to the structure of it. 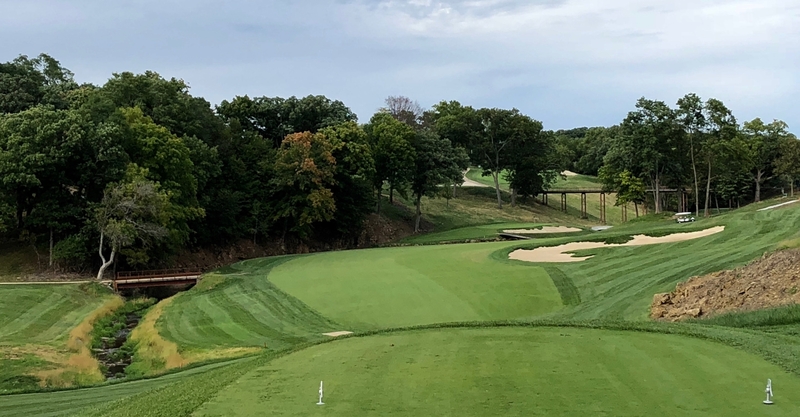 Alison used routing tricks like consecutive par-5s, five par-3s and four straight short par-4s because that is what the land gave him.” The course has tremendous variety as it works around, over and across the ridge. Forse and Nagle did make one critical change to put an exclamation point on the end of every journey around Davenport. 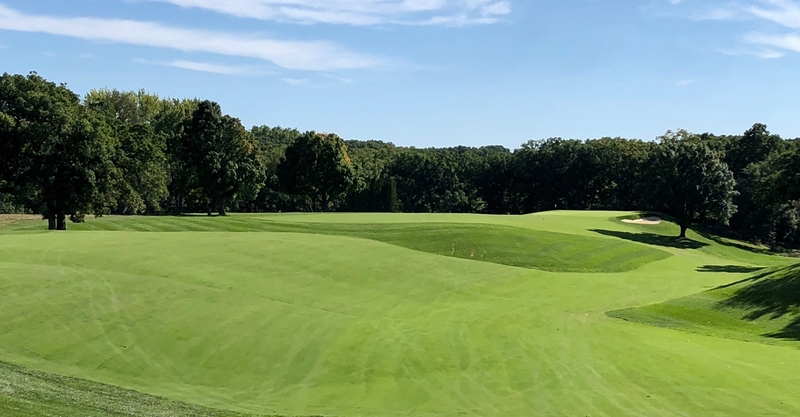 Alison’s original routing ended at an uninspiring green site below the clubhouse, and when the home hole was moved during the previous renovation, the result wasn’t much better. 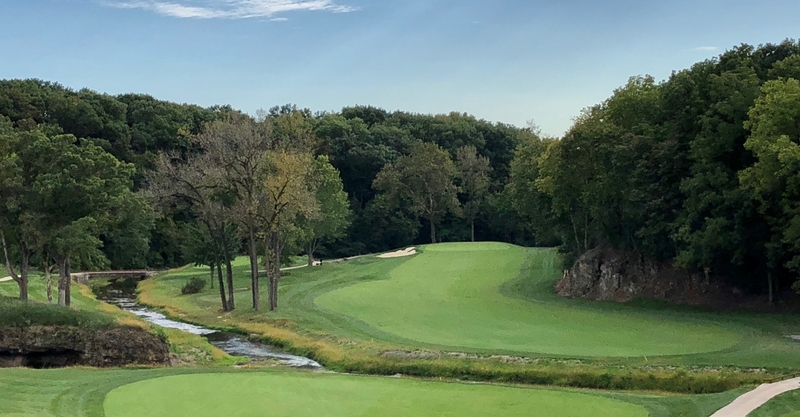 The closer now winds through the valley, where the creek is very much in play, to a green set against a hillside in the shadow of the iconic bridge that connects 10 tee to its fairway. 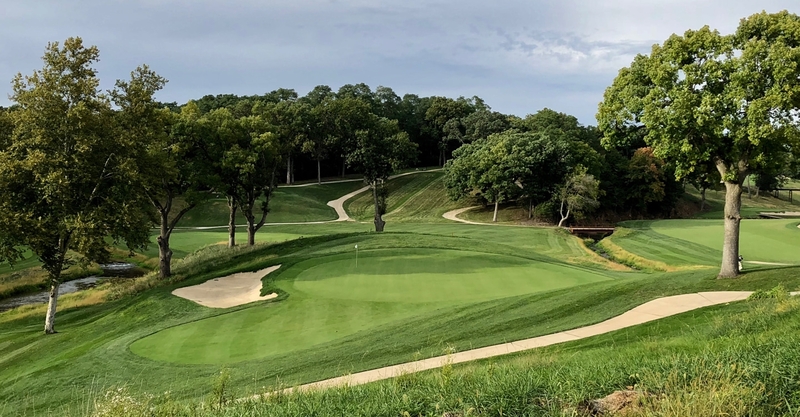 With the features rebuilt in Alison’s bold style, and extensive tree removal, the scale of Davenport was returned to a level experienced by Western Open competitors of yesteryear. Players visiting Davenport today will experience equal parts challenge and beauty, just the way Alison intended. 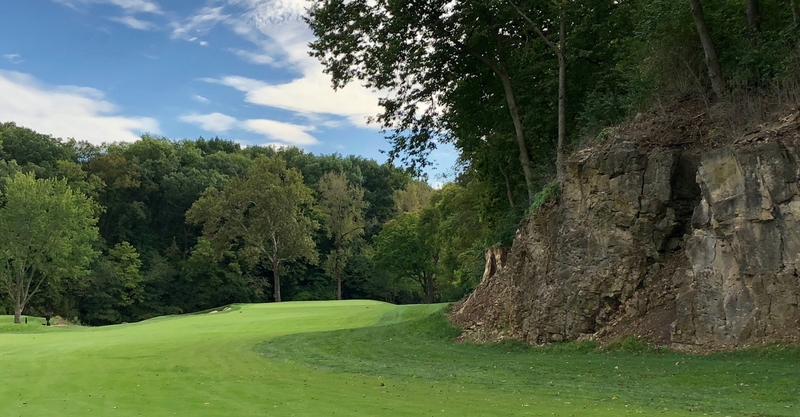 The course works its way out to the ridge with holes 1 and 2, and then explores the knob-and-kettle terrain with standout holes like the par-4 7th. 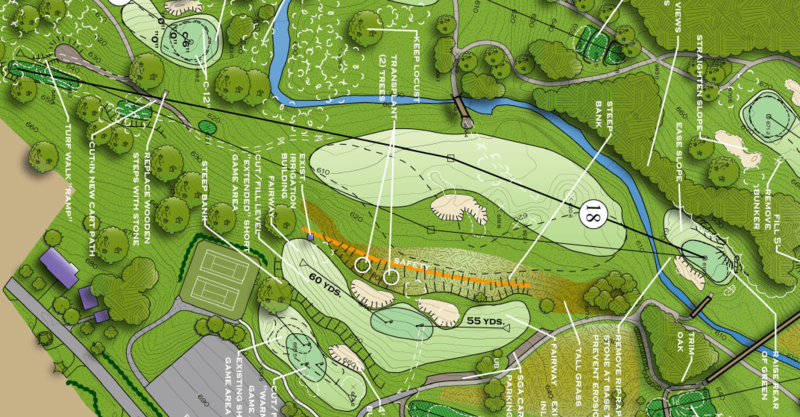 The outward half closes with a thrilling tee shot down to the fairway of the par-5 9th. The back nine begins with a tee shot up to the ridge on the stout par-3 10th. A series of strategic holes over gentler land follow before the course heads toward the closing stretch. The par-3 15th runs along the ridge to a tiered green set at an angle. The famous 16th heads down into the creek valley where players must contend with a pronounced rock outcropping on the right. The 17th is the final of Davenport’s strong one-shotters, playing uphill to a canted green. And not to be outdone, the redesigned 18th is a tough par-4 in a breathtaking setting. Forse and Nagle continue to make visits to Davenport as Dean Sparks and his crew carry on the process of polishing Alison’s gem. Tree and brush clearing carries on, revealing more of the stone cliff and specimen trees. Iowa native prairie areas are also being restored, adding to the course’s variety and beauty. C.H. Alison beat up Sam Snead one Sunday afternoon in 1951, and his course is still tough. But beat up is not primarily how the course makes players feel today. More likely, spending an afternoon at Davenport makes them feel grateful. Categories: golf, golf course architecture, golf course tours, golf courses | Tags: ch alison, charles h alison, charles hugh alison, davenport country club, geekendongolf, golf course, golf course architecture, golf course photography, golf course photos, jason way, Jim Nagle, ron forse | Permalink.